Welcome to the College of Natural Resources! The College of Natural Resources provides exceptional opportunities to study the dynamic interactions of the environment, health, and society; develop policies that will meet fundamental human needs; and serve the public by transferring research findings to society. The College of Natural Resources (CNR) is one of 14 colleges and schools at the University of California, Berkeley, and our students take courses in almost every department and college on campus. 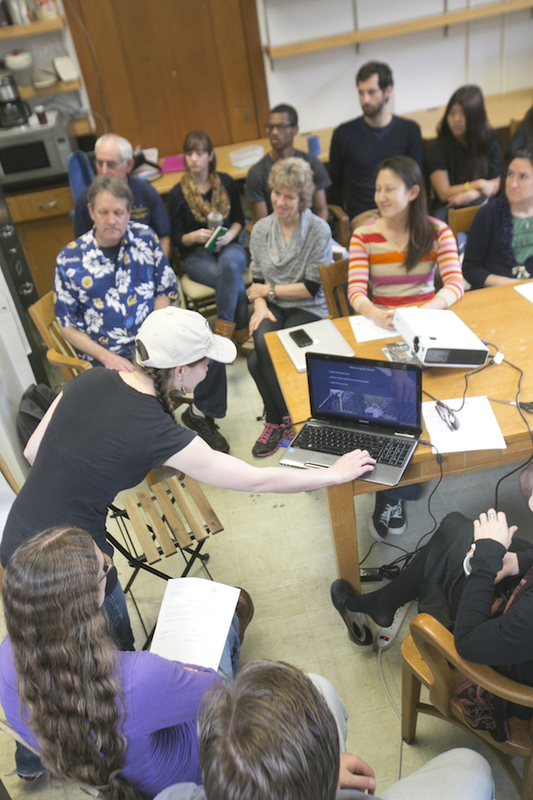 But CNR remains small enough to assure individual attention for each student: faculty advising, small classes, dedicated staff, and well-supported research and community service programs are fundamental to a CNR education. When you declare a CNR-based major at UC Berkeley, you become a student in that major. You work with the academic advisor and faculty advisors for the major to plan your schedule and program. They are dedicated professionals who have had a lot of experience helping students plan their courses, and even their careers. But to earn a degree, it is ultimately your responsibility to make sure you satisfy the requirements for your major. If you have not declared a major, you meet with an undeclared advisor who will guide you on course planning while you explore majors. Be sure that you are aware of the requirements you must fulfill while you remain undeclared, and how to take care of them. You should also visit the undergraduate advisor of any major you are interested in to find out more about it and to talk over your options. All students are expected to meet with their academic advisor at least once each semester for advice in planning your academic program. Like all the colleges and schools at UC Berkeley, CNR has specific requirements for our students. You must satisfy College requirements in addition to your major requirements. To graduate, you must also satisfy university requirements. These are set by the University of California and cannot be changed by CNR. Undergraduate Advisors are a link between faculty and students, and between students and campus. They are your “tour guides” to student services and academic information in departments and across campus. Advisors have access to all the online registration and transcript information that you need, and they are trained to assist you in understanding campus policy. You are expected to meet with your advisor at least once each semester. Find your advisor now. In addition to advising, CNR offers numerous personalized Student Services programs specifically for our students. Learn about career panels, academic support, and undergraduate research opportunities at Student Services. As your small-college home at the big university, the College of Natural Resources is here to help you navigate your undergraduate experience. We suggest you first review the Frequently Asked Questions section. For more detailed information, contact us by calling an advisor in a major you’re interested in, or just calling, emailing, or visiting the main Office of Instruction and Student Affairs.